Give your dining room a dose of coastal beauty with the Georgetown 4 Shaped Door Antique Ivory Sideboard. 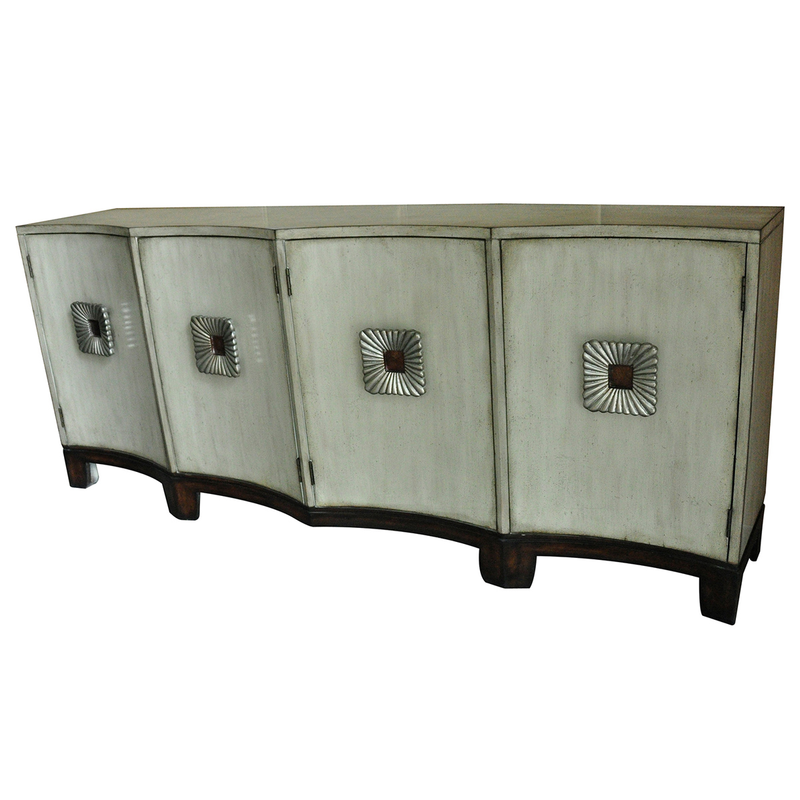 This sideboard features concave doors with art deco accents. Ships from the manufacturer. Allow 1 to 2 weeks. Cannot express ship this beach style furniture. For additional offerings, we ask you to take the time to look through our whole array of beach style cabinets at Bella Coastal Decor now.